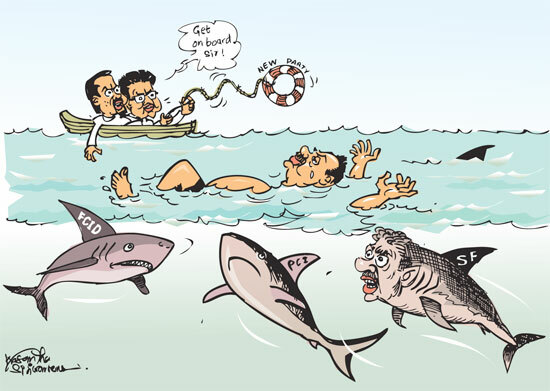 With Yoshitha Rajapaksa being arrested in connection with the CSN TV station controversy, close allies of former President Mahinda Rajapaksa are now convinced that the wheels of law enforcement are moving. As an immediate result, they realised the importance of ‘fast-tracking’ their process of forming a new political alliance, so that they would have a platform to politicise anti-corruption investigations and legal battles surrounding them. Jawaharlal Nehru at midnight on August 14, 1947 addressed the nation with his now famous, ‘We made a tryst with destiny’ speech. The more you read his address to the nation that India was now a sovereign State having thrown off the yoke of the British Raj, the more you are enthralled and more nuances that assail you. What's holding back the FCID?